Remember all that yarn I brought back with me from the Scotts Bluff Valley Fiber Arts Fair? I’m putting some of it together with other yarn from my stash to make a free form crochet scrumble. When I made my first free form scrumble years ago I thought it would be an easy way to use up left-over odds and ends from my stash. That was when I discovered that one of the trickiest things about free form, is picking the colors of yarn to use together. I wasn’t all that happy with my first scrumbles, but I was intrigued enough to persist. A great short cut for choosing colors is to pick out a multi-colored yarn that appeals to you, then match it with solid yarns in the colors that are in the variegated yarn. This is exactly what I did to begin this project. 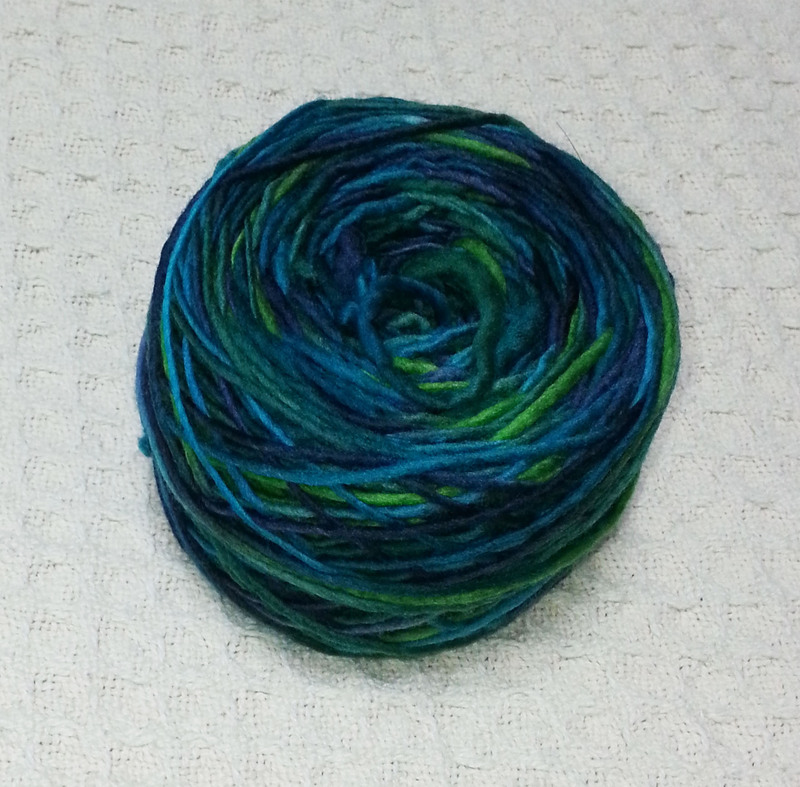 I used this hand-dyed yarn as my guide for picking the other colors. If you are like me, a large percentage of your yarn stash is dominated by a couple of colors. In my case I have lots of Purples and blues. I purchased the hand-dyed hank of yarn knowing that I would have other yarns in my stash that would work with it. 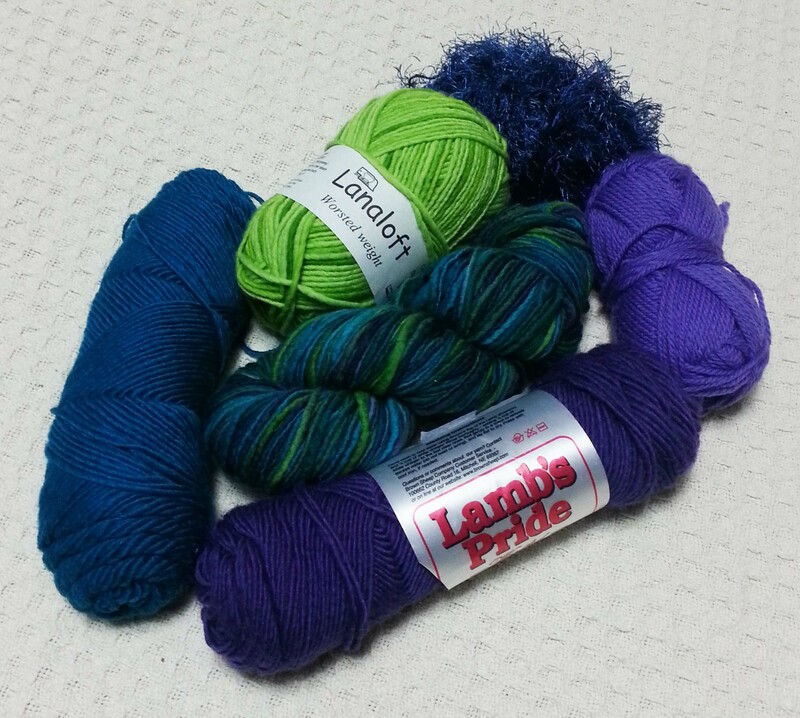 If you don’t already have a variegated yarn you want to use in your free-form project, look at your stash for color inspiration before purchasing one. 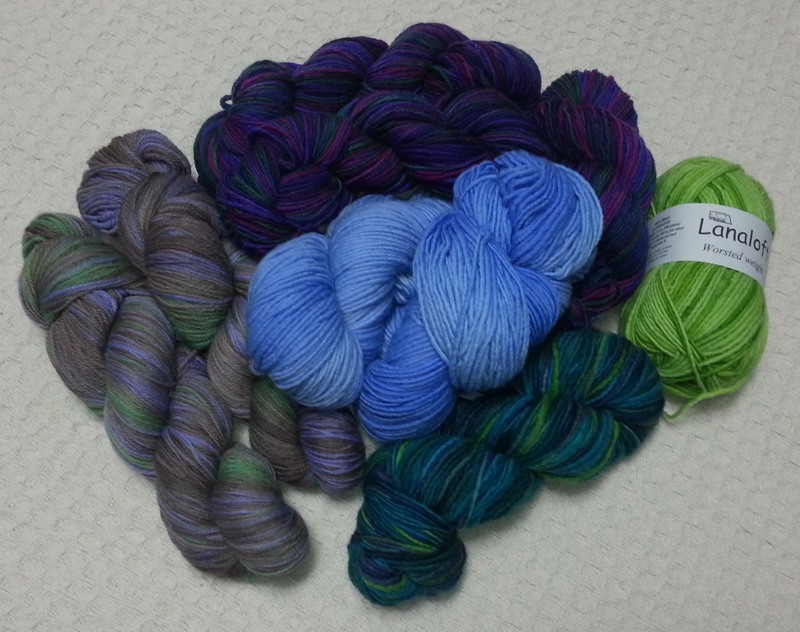 In the end you want a variety of shades as well as colors for your yarn choices. I looked at lighter and darker variations of the colors in my variegated yarn. Like the very deep blue in the furry yarn, that deep color and texture will add some interesting effects to the final fabric. The bright Lime will create contrasting pops. Hopefully I’ll have some pretty Free Form scrumbles to show you in the next couple of weeks.